When you visit our showroom you will be amazed by the selection of stone, quartz and beautiful colors available for your next project. Simply call 850-995-2270 or fill out the contact form on the right. One of our friendly professional staff members will contact you and help you design and build the project of your dreams. Thanks for visiting our website! We look forward to seeing you soon. Please call 850-995-2270 for an appointment to visit our showroom. Granite Countertops are made from the most beautiful material in the world. 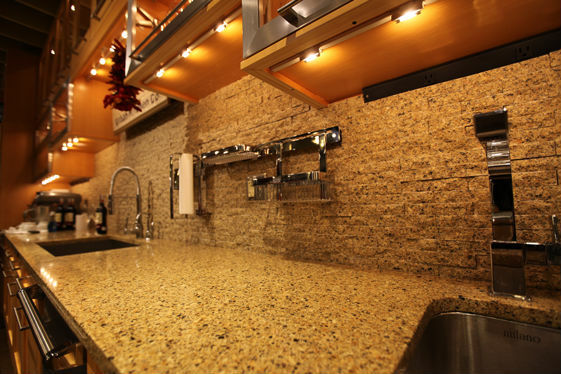 As the name implies it is a countertop product that is made of quartz and resins. One major advantage of Quartz is the slabs come in a large range of consistent colors which do not occur naturally in nature. Recently, slabs have been created that look like natural stone. Quartz is an easy product to live with and a great choice for countertops in your kitchen. We look forward to working with you on your next project. Renovating your countertops can be a major undertaking, at Apex you can be assured that our service and craftsmanship will make replacing the countertops easy and fun. Pick a stone that works with your decor and let us do the rest, our digital templating technology ensures a perfect fit even in older homes with out of square or bowed walls. You are in good hands with the professional team at Apex Advanced Countetops! Our installers can remove and dispose of your countertops! Yes, we have one of the largest inventory of granite remnants around! 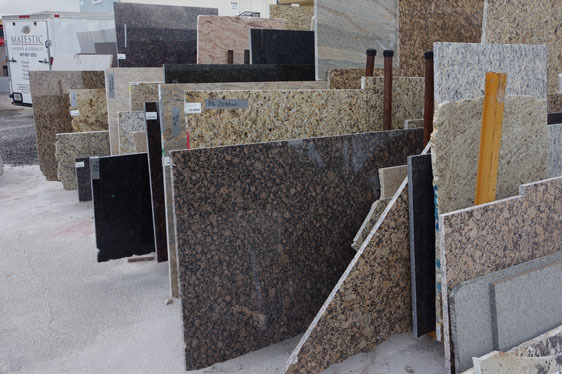 We also have remnants and half slabs of engineered stone, marble, limestone, onyx and of course granite and many other types of stone remnants. We stock many remnants for you to use on smaller projects. In most cases the answer is never.....or years and years after it is installed. Sealers are solids that have been emulsified in a solvent. They are designed to penetrate the stone taking the solids with them. When the solvent evaporates, the molecules lock into the stone and seal it. Combine one good coat of a quality sealer (which we will do for you in our shop) with the resin applied by the factory you will have a very stain resistant top that will be virtually maintenance free. Rarely, if ever will you need to seal granite that has been resined and properly sealed. Over time, in the unlikely you do see some water absorb into the stone simply reseal. We can help you if your countertops need to be resealed. Does the price of the stone effect the "quality" of it? Often people make the mistake of assuming that if it is more expensive then the slab is better quality. Often in our industry stone cost has more to do with availability, competitive quarries...in other words; Does color come from multiple locations creating a price competitive market? So the simple answer is: No....the cost has nothing to do with the structural quality. The more complex answer is Yes. For example; Santa Cecilia Granite is available from many sources so the base price of the granite is fairly low. In that group there: First Choice Material, which is has nicest even looking coloring and movement. Then there is Second Choice Material: This will look close to first choice but have minor color variations which make it slightly less expensive then the first choice. The final classification is Commercial Grade Material: This class of stone will have things that make it look less then desirable, spots/eggs of color that do not match the “Norm” for that material. This is the lowest cost. These ratings are subjective and have to do with what the granite looks like. At the end of the day all three classification will perform perfectly for your countertops, but the “quality” is based on the subjective appearance.